Welcome to the eighth special Issue of the SHAPE Journal. A whole series of magazine articles by prestigious authors and Special Issues by office hacks, as well as many different TV spectaculars and series have found it necessary to expand upon their increasingly important concept of... well... nothing. In seeking an Origin for the Universe (without a God of course), they have settled upon "Nothing" as their necessary source. But, as you might have expected, it is a very special kind of Nothing! First of all it is man-made. Or, to clarify, we both call it "Nothing" and have defined what we think Nothing actually is. And, secondly, as you might have guessed, there isn't a single, unambiguous definiton. Indeed, the indubitable origin of the concept of Nothing is definitely mathematical, and associated with the mathematicians new concept of "zero" (as a number without any magnitude). It is a formal "nothing", like zero, but made up of +1 and -1, or equal amounts of positive and negative charges, or even completely balanced forces which give the appearance of zero activity, and, of course, many others of similar ilk. Indeed my favourite has to be the Physical Singularity, where something supposedly vanishes by successive contractions, until it shrinks into the tiniest dot, and then down to absolutely Nothing. And, lo and behold, in reverse... we can have the whole of the present universe emanating from an identical dimensionless dot. Magic, isn't it? This is not an unimportant philosophical speculation: it is indeed the current consensus position of the vast majority of today's physicists and cosmologists. And it is a direct consequence of two important principles, which were both progressive and extremely useful for many centuries. These were the Formalism of Mathematics and the Plurality of analyses of things into seperable parts. Now, though gigantic pragmatic and technological strides were made using these principles, which it has to be admitted, transformed our world - they finally, and inevitably, began to lead us astray. When our tools no longer work, we should cast them aside and replace them with something better. For such has always been the way of Science! It is never as easy as it sounds. Those who benefitted greatly from their past use of such priniciples, and indeed, made them the cornerstones of all their contributions and theories, would always and ever defend them to the last as their own prestige was surely based upon them. And, in their defence of these now reactionary principles, these supporters will favour the most remarkable retreats, rather than admit that they were wrong. The story of this debacle and how it must be defeated, has to be addressed, and Shape Journal is finally ready to begin this vital task. 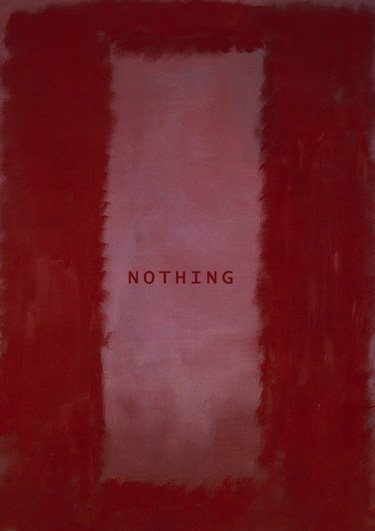 This Special Issue, under the title of "Nothing" is to start the process, to address this current preoccupation, for it has certainly redirected science into an impassable idealistic mire.